David Bixenspan and Jordan Breen's weekly podcast about old, obscure, and otherwise awesome media and pop culture. Support us on Patreon and get bonus shows! Ep. #6 – Where’s The Coke? Where’re The Shakes? Two Scoops is finally back again, including a long explanation of the nightmarish living situation that was keeping Jordan from being able to do the show. 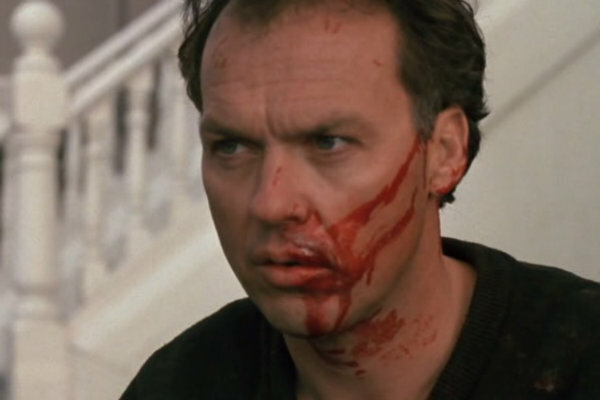 From there, to stoke Jordan’s desires to do harm to his former landlord, he and Bix watch “Pacific Heights,” the 1990 Michael Keaton vehicle where he’s the tenant from hell. An uplifting, lighthearted show! Support us on Patreon to get extra donor-only shows! You can also help out the show via our Amazon referral link. Follow us on Twitter at @TwoScoopsPod, @davidbix, and @JordanBreen. We’ve also got a page devoted to how to subscribe or stream in your favorite podcast app. Liked it? Take a second to support Two Scoops with Bix and Breen on Patreon!